The collapse of the national currency is seasonal, the central bank said. The National Bank of Ukraine commented on the sharp decline in the hryvnia exchange rate in January. The central bank believes that the dive is a temporary phenomenon, and the rate at the end of 2018 will only slightly differ from that in the beginning of the year. "After Ukraine's transition to the floating exchange rate of the hryvnia in 2015, there is a certain seasonality in the foreign exchange market. For the third year in a row, the demand for currency has been growing in the first months of the year, including from importers who form stocks of commodities for the new year, while revenues shrink, including from farmers, who usually provide about half of the currency's offer on the interbank market during the year. Thus, the devaluation pressure on the hryvnia exchange rate grows at the beginning of each year," the deputy governor of the NBU Oleh Churiy said on Friday. According to Churiy, these seasonal factors are the key reason for the strengthening of the fluctuations of the hryvnia in the interbank foreign exchange market since the beginning of January. Seasonal decline in business activity, mainly in the agrarian sector, leads to a reduction in the receipts of foreign exchange earnings from the export of farm products, while the market has an increased demand for currency from importers. The NBU pledges to to mitigate the impact of seasonal factors by selling currency on the interbank market. Since the beginning of the year, the NBU has sold UAH 53.5 mn, the report said. 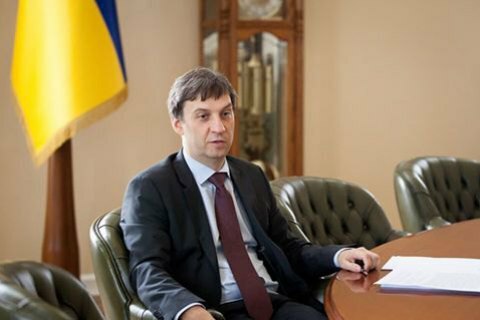 "At the same time, the National Bank emphasizes that the effect of temporary factors at the beginning of the year can be leveled for the rest of the year due to the beneficial influence of fundamental factors, including the external price environment for domestic exports, as was the case in 2017. For example, Ukraine finished the past year with the exchange rate at a level that is approximately equal to the rate at the beginning of the year. The hryvnia depreciated by only 3% over the last year, despite occasional periods of excessive fluctuation," NBU deputy governor said. The hryvnia hit the 28.5 notch on dollar and continues to grow.